4. The information submitted in GSTR-1 by the Counterparty Supplier of the taxpayer will be auto populated in the concerned tables of GSTR-2. The same may be modified i.e. added or deleted by the Taxpayer while filing the GSTR-2. The recipient would be permitted to add invoices (not uploaded by the counterparty supplier) if he is in possession of invoices and have received the goods or services. 5. There will be separate tables for submitting details relating to import of Goods/Capital Goods from outside India and for the services received from outside India. 6. The details of inward supplies would be auto-populated in the ITC ledger of the taxpayer on submission of his return. The taxpayer will select the invoice details regarding the in-eligibility and eligibility of ITC in relation to these inward supplies and the quantum available in a particular tax period. 7. There will be a separate table for submitting details in relation to ITC received on an invoice on which partial credit has been availed earlier. 9. In respect of inputs, there can be two situations. If inputs are received in one lot, the ITC will be given in the return period in which the purchase is recorded in the books of accounts. 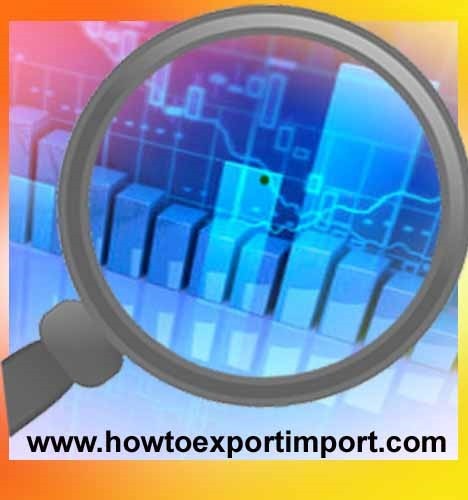 In case inputs covered under one invoice are received in more than one instance/lot, the ITC will be given in the return period in which the last purchase is recorded in the books of accounts. (GST Law to contain appropriate provision in this regard). A note in this regard has been incorporated in the Return form for the guidance of the taxpayer. 10. There will be a separate table for submitting the details of revisions in relation to inward supply invoices pertaining to previous tax periods (including post purchase discounts received). This will include the details of Credit/Debit Note issued by the suppliers and the differential value impact and concomitant tax payable or refund/tax credit sought. 11. There will be a separate table for effecting modifications/correcting errors in the returns submitted earlier. The time period for correcting these errors will be provided in the GST Law. 12. There will be a separate table for submitting details in relation to NIL rated, Exempted and Non GST inward Supplies ( Both Inter-State and Intra-State) including those received from compounding taxpayers and unregistered dealers. 13. There will be a separate table for the ISD credit received by the taxpayer. 14. There would be a separate table for TDS Credit received by the taxpayer. 3.2.2 Auto Population in this return from GSTR-1 will be done on or after 11th of the succeeding month. Addition or Deletion of the invoice by the taxpayer will be permitted between 12th and 15th of the succeeding month. Adjustments would be permitted on 16th and 17th of the succeeding month. 3.2.3 The return (GSTR-2) would be filed by 17th of the succeeding month. Late filing would be permitted on payment of late fees only. Where to file GST returns? What is RETURNS in terms of Goods and Service Tax? How does Bill of Lading work in DP payment terms? Who receives the amount of auctioned / resold imported unclaimed/un-cleared goods? Why do carriers balance weight and volume while charging freight amount in Exports? 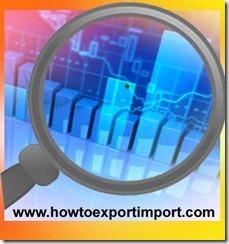 How does First Appraisement system of import customs clearance procedures work?